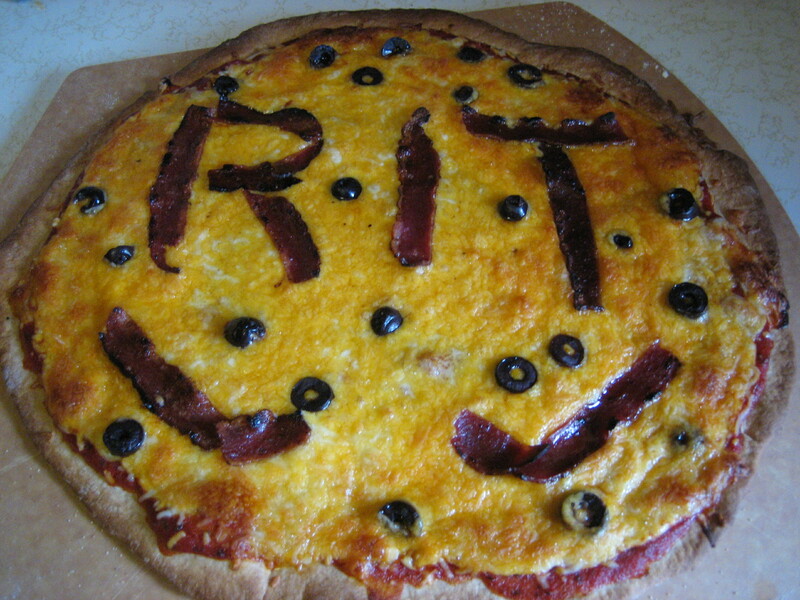 This entry was posted in Bacon, cheddar cheese, cheese, meat, olives, Uncategorized and tagged bacon, frozen four, hockey, kalamata, olives, pizza, pizza recipe, RIT. Bookmark the permalink. It tasted fantastic! Bacon and olives go so well together! It made me smile – pizza with personality!